I remember walking into our therapist’s office for the first time and feeling a rush of uncertainty. What would she think of me? Of us? Of our relationship? Of our grief? 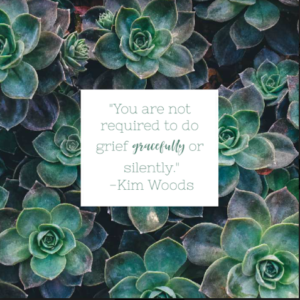 Of how we handle our grief? My mind raced with the anxiety of the unknown and if we were doing grief the “right” way. Or if what the therapist would deem is the “right way” (as if such a thing exists). We didn’t dive right into therapy after Caleb died. I went to a support group for about five months before I garnered the courage to approach my husband with the idea of seeing someone to help us with not only the loss of Caleb, but the loss of our first three babies as well. He shrugged and said “if you want to, I’ll go with you”. Eye roll. As if I’m the only one who needed therapy and he would “go with me” for support. I decided to ignore his comment, found someone I thought may work for us, and proceeded to make an appointment, not really knowing what to expect. I had been to therapy previously, however we had never gone as a couple outside of the required “pre-marital counseling” the church we got married in, required. 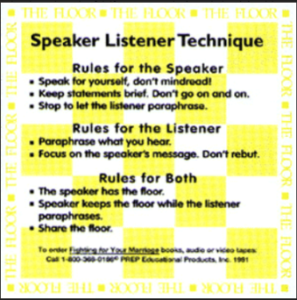 That experience, I had a feeling, was less likely to be repeated in our new environment due to the fact we did nothing but make dumb jokes that cracked each other up and made fun of having to share “the floor” – a cardboard square that indicated that whomever was holding it, was the speaker, and the other partner then in turn, was the listener. 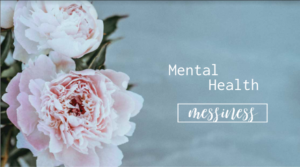 We continued to see her weekly and after three sessions she hit us with something completely unexpected: A Post Traumatic Stress Disorder diagnosis, for both of us. I knew we were both struggling with depression, however I was not prepared to hear PTSD because the only people I knew who had it were soldiers coming back from war. The diagnosis scared me; it felt crushing to not only be battling depression but to hear PTSD as well, completely threw me. Scott seemed to take it in stride, listening to her describe the symptoms that made up the diagnosis and what type of coping mechanisms we could put into place to help us. I left that session a wreck, wringing my hands at the thought of what this new label meant for us. Shortly after Caleb died I had been put on an anti-depressant by my doctor because I had more than the “baby blues” and he thought they would help me feel better. At first I worried what people would think if they knew I had to be on medication to help me get through my day. Only a few people in my life knew I was on them because I felt ashamed that I needed medicinal assistance. I would feel frustrated when the people who did know expected the medication would “fix” me yet I wasn’t “fixed”. I was more evened out; my emotions weren’t all over the board as they had been and I was able to get out of bed most days when I wasn’t previously. The expectation of the meds making me “better” or back to “normal” and feeling as if I wasn’t living up to those expectations, crippled me. Coupled with the PTSD diagnosis looming over me, I felt as though I had to keep it hidden; tucked away in the shadows, away from the judgement of others. One day I got brave and mentioned it to a co-worker; my bravery was short lived as she responded with “isn’t it a little soon for that type of diagnosis?” Every hope for understanding was lost when she said that to me. I was like a shrinking violet that understood her veiled meaning- keeping this part of my journey, the raw and real part of my journey, hidden, was expected. Mental health discussions were too messy – best to keep it to myself. 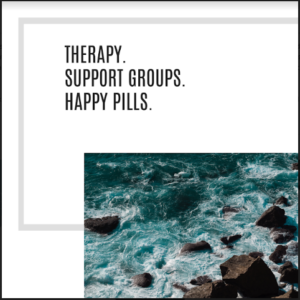 Therapists, anti- depressants, anti-anxiety meds, EMDR therapy, couples counseling… all of these things that were discussed behind closed doors with our therapist or at support group meetings with other grieving families, were seemingly taboo for the rest of society. It was as if the rest of the world was telling us grievers “Sort through your mess in private and come back to the rest of us when you’re fixed – oh and don’t tell us about how you’re getting through it. Just clean yourself up, or put on a really good mask, before you come back.” Screw. That. One day I began to refuse to gloss over my mental health messiness. People would say to me “I don’t know how you do it!” when they would hear my story; “Therapy, support groups, and happy pills” became my response. One day I made the choice to refuse to pretend that I can manage my grief, trauma, and mental health on my own. Doing what you need to do to keep your mental health in check, not only for people grieving but anyone for that matter, does not need to be done in silence. Asking for help, being vulnerable enough to take a step into a support group, a doctor’s office or therapist’s couch, is brave. Wearing a mask and attempting to work through the heaviness of the loss of a child on your own isn’t necessary and it isn’t wise. There are incredible mental health professionals, peer support groups, medications and combinations therein available to help you along this journey. It’s there for you, when you’re ready. There is no shame in the mental health game – no matter the diagnosis, medication dosage or amount of therapy needed.